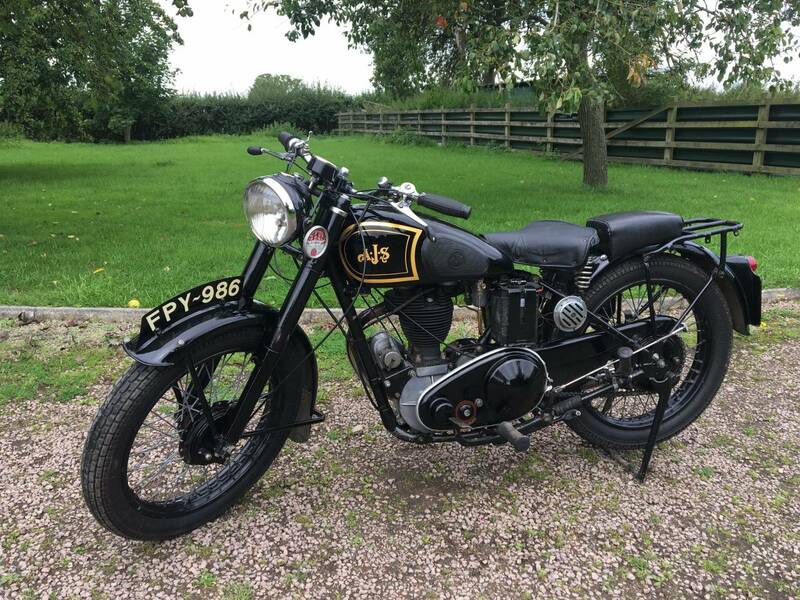 AJS Model 16 1949 350cc , Now A Rarely Available Model ; Rigid With Teles . 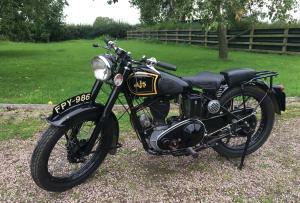 In Very Original Condition , With Old Log Book , Current V5C , Original Transferrable Number , Tax And Mot Exempt . 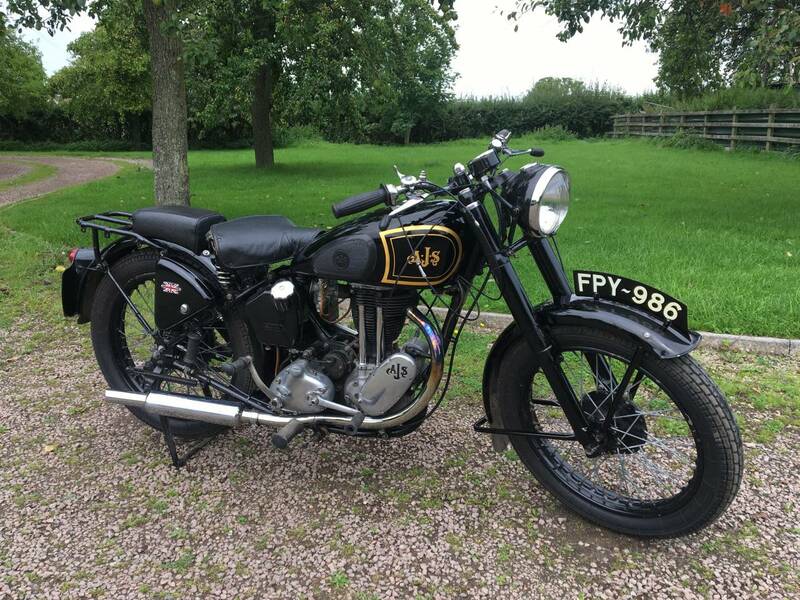 Was Restored Several Years Ago And Still In Lovely Condition And Now With Good Patina . This Is A Relatively Lightweight Machine , That Is Easy To Ride And Manoeuvre , As The Later Ones Gained Weight . It's Easy To Control and Has A Low Seat Height , As A Rigid , So Good If You've A Short Inside Leg ! Comes With Original Toolkit , Handbook , Old Mots And Tax Discs . An Unusual , Early Model , That's Sure To Be A Good Investment .